ACEEPT Project Week 2018 - aceepts jimdo page! Events such as the ACEEPT Project Week would hardly be organisable for our University without the support of various sponsors and partners. We would like to thank them for their cooperation and invite you to discover their companies and product through the links below . We are pretty sure that you will find useful Information for your stay, the Pre- and Main-Tasks there as well. The Saarland state development company, LEG Saar, is the competent partner for municipalities, institutions and other public-sector customers in the real estate sector. Today the company focuses on the sectors of site works, infrastructure and location development, project management for special construction measures, ecological urban and village renewal and environmental protection. In doing this LEG Saar is not only building on many years of experience in project development but also on state of the art methods in real estate and project management. LEG Saar provides all planning and construction services from a single source: from the utilisation concept for the land acquisition, urban development planning and site works through to turnkey construction and project marketing. Besides a comprehensive range of services offered to Saarland-based companies from all sectors and of whatever size as well as start-ups, the responsibility for Saarland marketing has also been assigned to saar.is. The overriding objective of all of the services is to improve the competitiveness and innovative strength of the Saar economy and thus to secure its continued existence on a long-term basis.The range of services provided by saar.is includes further vocational training programmes for skilled members of staff and executives, offering technical and business management advice to companies as well as activities for the development of new sales markets at home and abroad.The registered association also focuses on promoting innovation and technology, on the securing and acquisition of skilled labour as well as on providing consultancy services to companies in view of technological and demographic change. The “Tourismus Zentrale Saarland GmbH“ (Saarland Tourism Board) deals with all tourism matters and advises political and communal institutions and associations. At the same time, it acts as an interface for tour operators and promotes the Saarland’s presence in the main tour operator brochures. 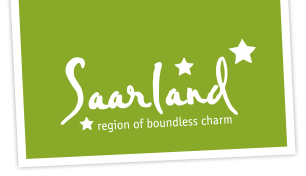 The objectives and key tasks are promoting tourism, tourism services and products for the Saarland, increasing public awareness of the Saarland as a travel destination and highlighting the advantages of the Saarland as an attractive travel destination, facilitating the necessary framework (project management), coordinating tourism products and services, press relations and communications, and creating synergies between tourism service Providers.